The Los Angeles branch (pun INTENDED) of Fig & Olive restaurant opened last night, and I was lucky enough to be invited to the swanky event. The bash featured a full-on red carpet, which I walked with my cohort, and I’m happy to report that absolutely none of the three paparazzi who were standing there bored paused to snap a photo of us. Apparently they didn’t realize that I am the STAAAAR of Housewives Hoedown, the video podcast that has taken the Internet by STORM!!! Anyway, Sly and I eventually found our way inside the massive restaurant where we ran into friends (such as the inimitable Katherine Spiers) as well as a smattering of reality stars. 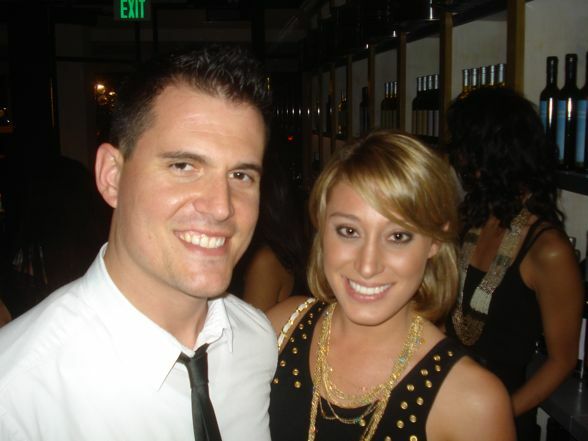 Above, I found Vienna from The Bachelor, who was just about as sweet and friendly as can be. I actually wanted to be her friend. Points against her: she’s not familiar with Ina Garten’s oeuvre. But that’s okay. I can teach her. 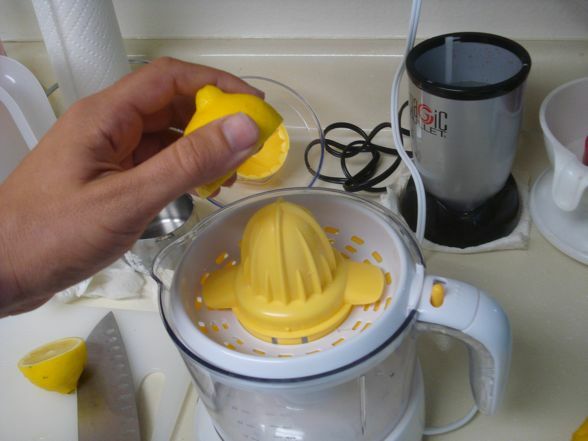 Nevertheless, Vienna revealed that she loves to cook and does so nearly every night. I’m sensing a starry Adventure in Domesticity on the horizon (Vienna, CALL ME). My beautiful and talented friend Katherine recently wrote a piece for Black Book about the ever refreshing and newly rediscovered Pimm’s Cup cocktail. Odds are that you might salivate while reading this article, and as someone who assisted in some of Katherine’s taste testing, I can verify that at least one of the beverages (from First & Hope) was just as tasty as it sounds. 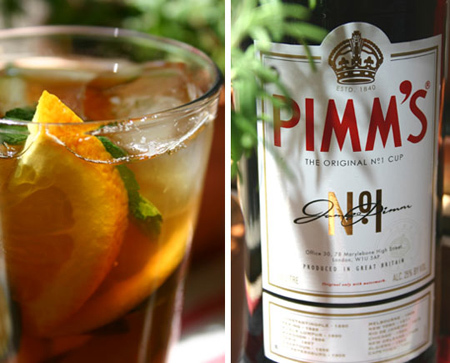 Black Book: British Invasion: The Pimmâ€™s Cup Takes Over L.A. The herb garden, August 2009. 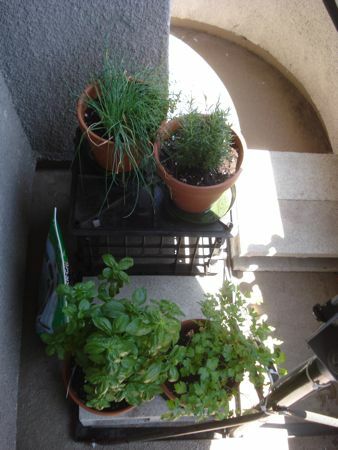 It’s been a while since I updated about my balcony herb garden. In fact, the last time I posted about it was August of 2009. Back then the headline read “Everything is alive,” but sadly, I’m not sure I can boast such wonderful news these days. It’s been a rough few months for my plants. Since August, they’ve suffered through a taxing heat wave, an accidental week of no watering (I was out of town! ), and a general lack of pruning on my part. It’s been bad. Real bad. Even worse, I seem to have built up some resentment towards my herbs. It’s like we’re in a small passive-aggressive battle. If they don’t want to grow, then FINE. I won’t water them every two days. THEN we’ll see who’s the boss. Sadly, this approach has not been helpful, mostly because plants don’t have the emotional capacity to feel guilt, and so things have gotten a touch out of hand.